I am surprised by how flippantly some people chose a co-founder. The two biggest reasons startups fail are running out of money and founder conflicts. This post suggests some criteria for choosing a co-founder. At Mixer Labs, I was extremely lucky in my choice of co-founder. Choosing a co-founder is the most important decision you will make when starting your company. Your co-founder(s) will be like your spouse - you will spend most of your time every day with them, and you will need to agree with them on all the big decisions (what product to build, how to launch it, whether to sell the company...). Additionally, your co-founder will also be fundamental to establishing the company's culture and work ethic. The initial team that grows out of the two (or few) of you will determine everything the startup does, and equally importantly, how it does it. Can you have an honest and frank conversation with your co-founder? Can you tell them when you think they made a bad decision or are doing things for the wrong reason? Can you give honest and critical feedback - and can you take their honest and critical feedback? Can you be honest with them in your reasons for doing things that may be in your own personal interest? Startups are stressful, and you need to be able to have honest conversations with your co-founders despite the stress. If you can't call each other out and learn from mistakes, then your startup won't be able to advance. The basis for the above is mutual respect and trust, and an understanding that your are in the fight together. Like any relationships, co-founder relationships can have a lot of ups and downs. They key is the ability to talk through the bumps along the way. I would suggest discussing the above with your prospective co-founder even if you have known them for many years. There is a big difference between "being friends" with someone and starting a company with them. What are their objectives? Why a startup? There are many reasons people start a company. Some people want to make a few million dollars. Some are doing it for the impact to the world. Some want to be an internet celeb. Make sure you and your co-founder have alignment on this - otherwise you might end up with one founder trying to force an exit for $5 million when Google comes calling, while the other wants to build something huge. What do they care about in a company culture? What are the 3-5 key things they want the company culture to have? Do you agree with them? Do they want to hire full stack generalists or specialists? What are the 3-5 traits they consider most important in a new hire? How do they view investors? What is an investors role in the company? One friend of mine got fired as CEO of his company after his co-founder sided with the VCs during an important strategic decision. The reason his co-founder did it? Because he felt that once the VCs invested in the company, the strategic decisions were theirs to make. This is a naive view, but some people have it. You should check how your co-founder views the world. You are trusting this person to safegaurd the next 4-10 years of your life. What is your role versus theirs? What do they want to be doing day to day? What do they want exposure to along the way? Many of the biggest companies had a clear breakout of which founder was in charge/CEO early on (e.g. 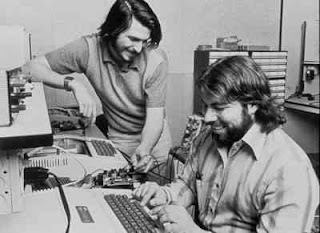 Steve Jobs, Bill Gates, Larry Page in 1999, Mark Zuckerberg) and the one who was the technical lead or supporting actor (Steve Wozniak, Paul Allen, Sergey Brin, the other N Facebook founders). Even if you agree on 95% of things, the 5% of times you disagree may freeze the company up for many months. You will each claim the right to veto. This means nothings gets agreed to and the company can't move forward. This could be the death of a startup, whose entire core premise and competitive advantage is the ability to move fast. You need to have an explicit decision maker set up up front. Don't punt on this painful conversation in the early days. My own 2 cents is 99% of the time the CEO should be able to make the final call not only on business issues, but also on product, if needed. Competition between founders may emerge. The CEO is usually the person who gets invited to panels, who pitches VCs (this is not glamorous, but people think it is), and who is often the external face of the company. If both people want to be CEO, the one who did not become CEO may feel like they got a raw deal by not getting as much exposure. This is something that emerges over time. You may have the most humble, well-intentioned co-founder but 6 months later they may start to feel they are missing out. If this happens, try to find a way to create opportunities for them to get some exposure without compromising the role of CEO. Usually a startup can only deal with one product visionary (a separate post coming on this later). Two people setting the vision for the product means that often you either get design by committee (mediocre) or split directions. This does not mean look for people with bad product sense. Rather, it means you need one person who is really strong at product that you have explicitly agreed will set the direction of the product. Similarly, 3 business people starting a technology company is usually a recipe for disaster. There is usually not enough "business" stuff for 3 business co-founders to do (unless it is a brand-building/operations heavy exercise versus a tech company - e.g. Warby Parker, Birch Box or the like - in which case it is easier to carve out roles). This will exacerbate 2a above. Have known them for a few years. This helps dramatically with the ability to have very open conversations with them - you already know, respect, and trust one another. So you know feedback that is giving or a hard conversation you are having is coming with the right intent. Have worked with them directly. People may act dramatically different in a social situation versus a business one. Optimally, you have worked with them in a business or other project based context. Once hard work, and money, enters the picture, people may change the way they act in all sorts of dramatic ways. If you worked with them before, you have a pre-set working style and cadence, so you hit the ground running faster. You also probably have well defined roles for working together, and trust each other in those roles. Any other things to look for in a co-founder? Let me know in the comments.